ELEGANCE AT IT&apos;S FINEST! 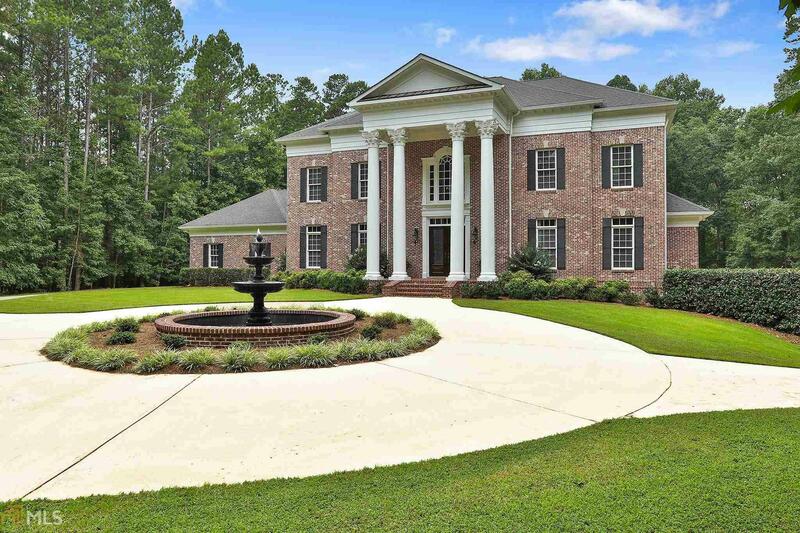 THIS GRAND SOUTHERN FULL BRICK MASTERPIECE OFFERS OVER 8200 SQUARE FEET OF CHARM & CHARACTER, PERFECTLY SITUATED ON A PRIVATE 6.7 ACRE PREMIER LOT! Spectacular spiral stair case, exec office, banquet dining for 12+ guests, great room with dramatic 27&apos; ceilings, keeping room, 3 fireplaces, exquisite owner&apos;s retreat on the main level + incredible porch spanning rear of home! Extraordinary chef&apos;s kitchen equipped with granite counters, enormous gathering island + upscale Dacor 6 burner commercial cook top, dual Kitchen Aid ovens & 48" built-in fridge! Upstairs are 4 additional en-suites w/10&apos; ceilings too! Amazing terrace includes gigantic pub bar/kitchen, media & rec/billiard rooms, gym, guest retreat & dream workshop/4th car garage!